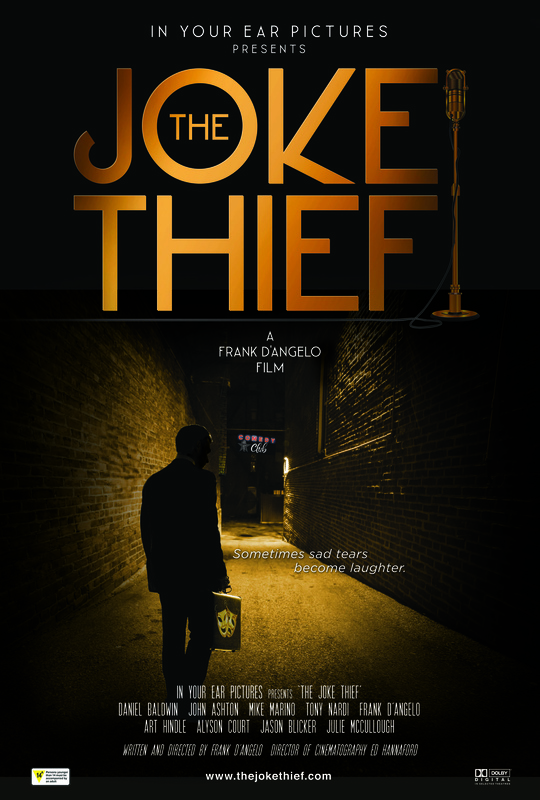 A melancholy, bittersweet, but ultimately rambling movie that dosn’t make as much sense as its writer/producer/director/star was probably aiming for, The Joke Thief relies too heavily on stand up performances from the likes of Marino to pad out an already slight storyline that revolves around Simon’s last shot at personal redemption. It also paints Simon as a misanthrope, and despite a last minute change of heart and soul – thanks to the clumsy intervention of Jerry the Uber driver, who tells Simon to have faith – he’s not a character you can warm to. Yes, he is funny, albeit in an offhand, determinedly rebellious kind of way, but D’Angelo’s script can’t decide if his being a joke thief is a bad thing or not. Baldwin’s host and Comedy Basement owner doesn’t like him, and only lets him have a slot as a favour to a fellow comedian (Nardi). But his other fellow comedians are courteous and encouraging toward him, which makes his reputation something that is certainly remarked upon but which remains unexplored. With all the flashbacks that D’Angelo inserts into the narrative, we never get a clue as to why Simon doesn’t write his own material, or why he’s chosen to plagiarise others. In the end, D’Angelo makes an awkward fist of things, from Simon’s regret at not being with his father when he died, to being there for his mother’s last breath only for her to berate him for being sad and unhappy, and his regular dismissal of, and attempts at exploiting, his brother’s affection for him. There’s also Simon’s treatment of women, which is also exploitative and wildly inappropriate, and such is D’Angelo’s skewed approach to the character, he actually rewards his behaviour with the prospect of a long-term relationship (one that appears to be his first). But it’s the character of Jerry the Uber driver that belies any sense that D’Angelo has worked out in advance what his movie is about. Jerry is the balm for Simon’s misery, someone who doesn’t get his jokes but who knows he’s a good man and a good comedian anyway. Jerry has faith, and amazingly, during the course of a short trip, convinces Simon to have faith as well and believe in himself (ah, if only Life were so simple to work out). Apparently, D’Angelo only spends a couple of days writing his scripts, and sadly, it shows. Somewhere in this movie is a mordaunt meditation on the rehabilitation that can be achieved through humour, but here it’s a blunt message that doesn’t convince, and which comes at the expense of any sympathy for the main character. 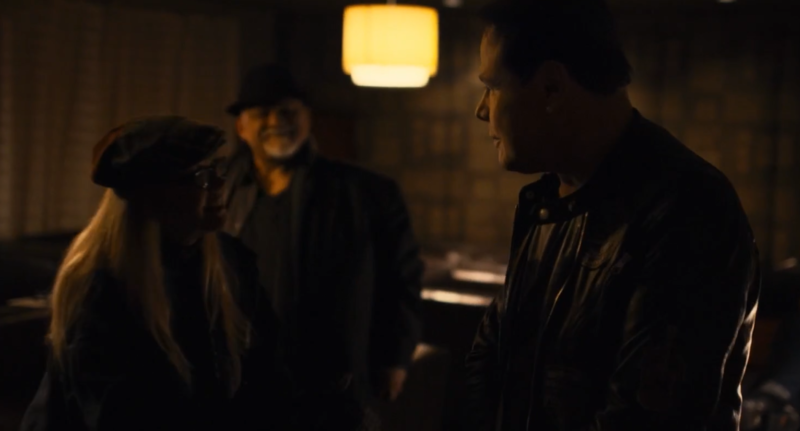 Rating: 4/10 – surrounding himself with comedians who really do know how to be funny, D’Angelo struggles to make Simon anywhere near as good, and this disparity hurts The Joke Thief tremendously; with modest performances all round, but in service to material that doesn’t lend itself to providing viewers with anything too memorable, it’s a movie that frustrates more than it impresses.